Enu Island is an island that located in the outermost Indonesia, which is in Arafuru Sea and it bordering with Australia. 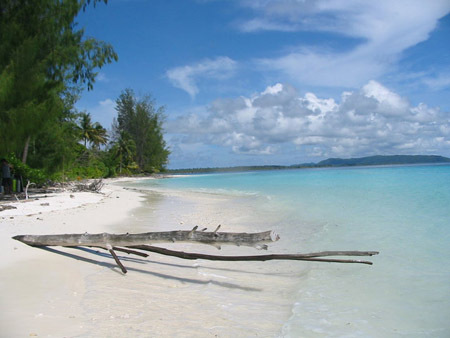 Enu Island is part of Southeast Maluku regency, Maluku province, Indonesia. The island is located in the south of Aru Island. Pulau Enu is a small island in the Arafura Sea at the southeastern corner of the Aru group. It located on the south side of the island aand it accessible only by boat. Instead of the beautiful natural sightseeing, Enu Island is also famous for the turtles breeding. Hence, the local government has announced the investment offering to any investor to participate managing this island as one of tourism destinations.